I'm a Nigerian author. Presently, I am writing my second book. The book is titled, Buhari: 100 Days in London and Other Stories. But there is a problem. I discovered 3 other writers who have written articles that are similar to the title of my book. In fact, when I contacted one of the writers about this, he emphatically told me that he was about to finish a book with a similar title. And just as I tried to think it through, a Nigerian movie also with almost identical title popped up in a TV advert. I badly want to use this title. For protection, can I copyright the title of my book? The reason is that copyright protects only eligible works. Eligible works are not only required to be artistic works (paintings), broadcasts (radio programs), cinematographic works (films), literary works (books), musical works (songs), or sound recordings (soundtracks, excluding films) but also required to meet 2 vital conditions. 2. The work has been fixed in any definite medium of expression now known or later to be developed, from which it can be perceived, reproduced or otherwise communicated either directly or with the aid of any machine or device. The two conditions above are prescribed in section 1(2) of the Nigerian Copyright Act. Therefore, titles do not meet the first statutory condition above: sufficient effort expended on making the work to give it an original character. In some other parts of the word, this is similarly described as a significant amount of original expression. Expressions as short as book titles do not qualify as sufficient effort. This is why you can neither stop the writers using identical or similar titles with yours nor protect your title under copyright. Copyright law says you need to do better than that! But this doesn’t give you or any person the right to title artistic, literary, or musical works just about any existing title. Once a book becomes a bestseller or becomes so successful it is recognized as a distinctive brand, the author or publisher may trademark the title. And once trademarked, the title is out of bounds to any person. If you can come up with a title that is not already in use—particularly in the genre your book falls into—you may consider that title instead. As an author, you need to keep your publications away from avoidable controversies. You also don't want to confuse your audience. You wish to consider your options closely? 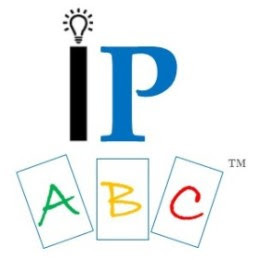 For competent guidance, you may consult an IP lawyer or law firm for professional advice and assistance.